Foods for treating acne is still not too unbelievable usefulness. Share a lot about how to treat acne because acne is a big problem. Although the association of food intake with acne. Cause of acne starts from the skin cell turnover, called keratin. Turnover of skin cells that do not fit will cause the cells clog the oil glands and pores that would capture the protein and sebum (the skin's natural oil) under the skin. Protein and oil becomes food for P acnes, the bacteria that cause acne. It is certain foods that come from fresh fruits and vegetables is good for the skin, a healthy diet will reduce inflammation and blackheads. So it is possible for a get acne, it is necessary food intake anti-acne. Of delivery Ellen Marmur, MD, a skin specialist and author of Simple Skin Beauty, bawwa many ways to prevent the cycle repeats. One way is to eat foods with vitamin and nutrient content of the right to acne problems. There is the influence of diet on acne for about 25 percent, the rest is hormonal factors, stress, sleep quality, and environment. Of course with a good skin care is also influential. Because it's basically no super food to prevent acne. Vitamin A helps regulate the skin regeneration cycle so as to reduce the protein and oils that cause acne are clogged. Vitamin A is the main content of the drugs for acne. Vitamin A comes from foods such as fish oil, salmon, carrots, spinach, and broccoli. Even so do not overdo vitamin A because it can be toxic. Antioxidants in vitamin E and C have a calming effect on the skin. 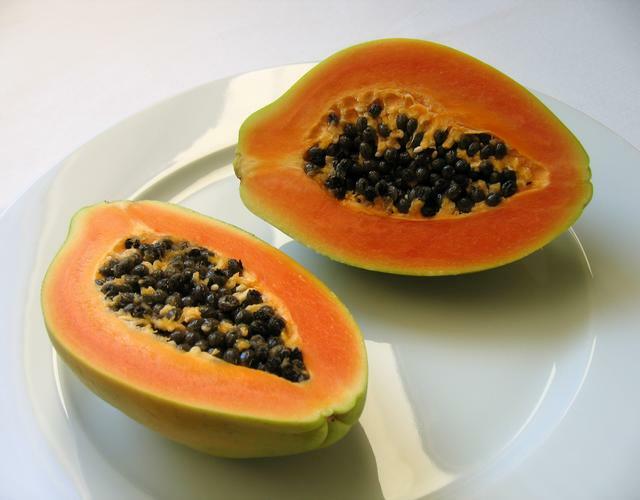 Vitamin C found in oranges, papayas, tomatoes, or kiwi. While vitamin E obtained from nuts, olive oil, broccoli, avocado, and green vegetables. Water will help hydrate the body and moisturizes the skin. Adequate water consumption also eliminates toxins that trigger skin problems. If you are drinking enough water so the water needs of the body better.